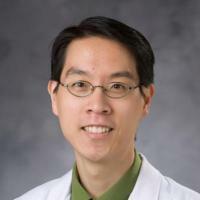 Kuo, AN; McNabb, RP; Izatt, JA, Advances in Whole-Eye Optical Coherence Tomography Imaging., Asia Pacific Journal of Ophthalmology (Philadelphia, Pa.) (2019) [10.22608/apo.201901] [abs]. Zhang, W; Pasricha, ND; Kuo, AN; Vann, RR, Influence of corneal diameter on surgically induced astigmatism in small-incision cataract surgery, Canadian Journal of Ophthalmology. Journal Canadien D'Ophtalmologie (2019) [10.1016/j.jcjo.2018.12.013] [abs]. McNabb, RP; Polans, J; Keller, B; Jackson-Atogi, M; James, CL; Vann, RR; Izatt, JA; Kuo, AN, Wide-field whole eye OCT system with demonstration of quantitative retinal curvature estimation., Biomedical Optics Express, vol 10 no. 1 (2019), pp. 338-355 [10.1364/BOE.10.000338] [abs]. Matsumura, S; Kuo, AN; Saw, S-M, An Update of Eye Shape and Myopia., Eye & Contact Lens (2018) [10.1097/icl.0000000000000571] [abs]. Hsu, ST; Perry, I; Botsay, S; Ko, N; Stinnett, SS; Kuo, AN; Shieh, C, Characterization of Corneal Donor Tissue Lesions by Anterior Segment Optical Coherence Tomography Compared With Eye Bank Technician Slit-Lamp Examination., Cornea, vol 37 no. 10 (2018), pp. 1318-1323 [10.1097/ico.0000000000001700] [abs].